This column normally highlights three different items, but the focus this time is on a single offering: The Jacques Rivette Collection, a massive 16-disc DVD and Blu-ray box set from Britain’s Arrow Films that contains multitudes. For cinephiles, it’s one of the most important releases in many years, collecting several holy grails of world cinema that have gone largely unseen for decades. 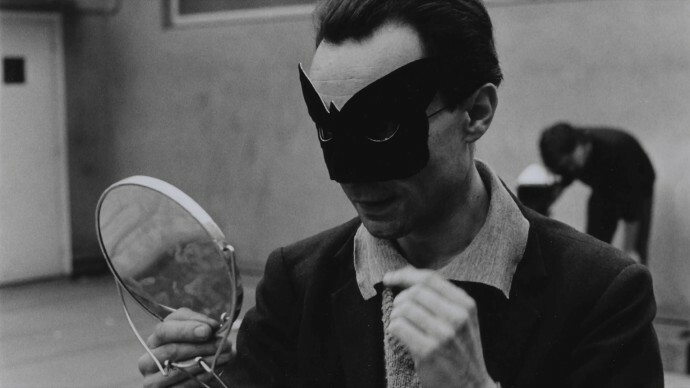 Jacques Rivette, who died this January, was one of the prime movers in the French New Wave, alongside Jean-Luc Godard and Francois Truffaut. His films weren’t flashy, but they radically reimagined the possibilities of cinema. He often explored the effects of duration – routinely pushing the running time of his movies to three and four hours and sometimes much further – and embedded experimental techniques into traditional story structures. 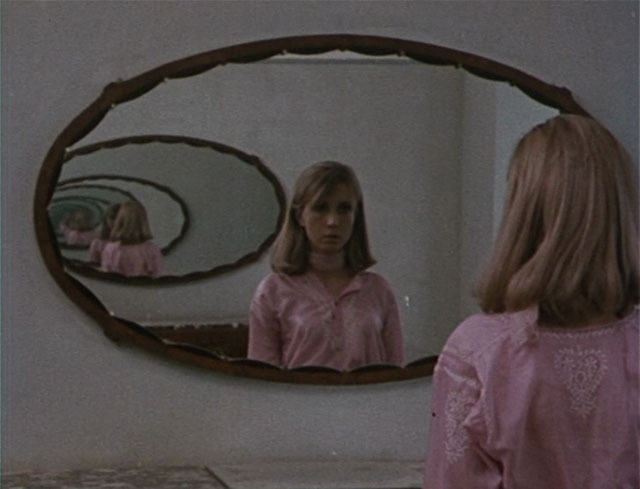 Rivette’s unusual plots continually shifted the mix of the real and fantastical and were frequently built around conspiracies, with the reality of those conspiracies was constantly being called into question. His films could be many things at once: playful, paranoid, philosophical, slapstick, suspenseful, emotionally raw, hyper-stylized, history-drenched, action packed. The films traverse genres and tonal registers so causally that their deep strangeness sometimes goes unnoticed. Unlike many of his New Wave peers, Rivette didn’t do his best and most daring work in the 1960s, but a decade later. Apart from 1974’s essential Celine and Julie Go Boating (available on DVD from the British Film Institute), The Jacques Rivette Collection gathers all his work from that fertile decade. It showcases beautifully restored prints of the films with newly translated subtitles, a 200-page hardcover book, and overflows with insightful extras, interviews, and documentaries. The set’s marquee attraction is the legendary 13-hour Out 1: Noli Me Tangere. Originally created for French television in 1971, it was never broadcast and has only been screened a handful of times since it was completed. It’s attracted a fervent cult following: esteemed critics and fans like Jim Jarmusch have declared it among the best films ever made. Conceived in the aftermath of the May 1968 riots, it’s a near-utopian project, filled with improvisatory sequences that feature many of France’s biggest stars of the time, including Jean-Pierre Leaud, Michael Lonsdale, Bernadette Lafont, Bulle Olgier, and Juliet Berto. Divided into eight episodes, roughly 90-minutes each, the basic plot involves two rival Parisian theater troupes who are both adapting plays by Aeschylus and two loners who keep running across signs of a Group of Thirteen who they believe are carrying out a sinister conspiracy. The storylines unfold throughout the film, paralleling each other and slowly intertwining in unpredictable ways. While its length demands serious patience, Out 1 richly repays that time by immersing you in its flowing hypnotic rhythms that induct you into an oddly intoxicating world. Among other things, it contains the most realistic and compelling scenes of theater rehearsal I’ve ever witnessed. The movie seeps into your subconscious in ways that few films manage, feeling like an odd shard of a half-remembered life, or a peculiar dream that refuses to be forgotten. Rivette edited down his 13-hour masterpiece into the only slightly more commercial four-and-a-half hour Out 1: Spectre (1972). Envisioned as a standalone film, it has its own lurching staccato rhythm with interspersed with still images. The shortened length throws some of the complex conspiracy elements and character relationships into sharper relief. Some critics claim Spectre is a masterpiece in its own right, but I find it to be more of a fascinating digest of the full version, brimming with sparkling moments, but skimping on the most immersive pleasures. The set also includes the wonderful feature-length documentary The Mysteries of Paris: Jacques Rivette’s Out 1 Revisited which interviews the project’s main participants and unravels its tangled history. It explores the film’s genesis and creation, as well as the distribution woes that made it one of cinema’s most prized phantoms. For those interested in Out 1 alone, all these elements are also available in the U.S. as a standalone set from Kino Lorber. 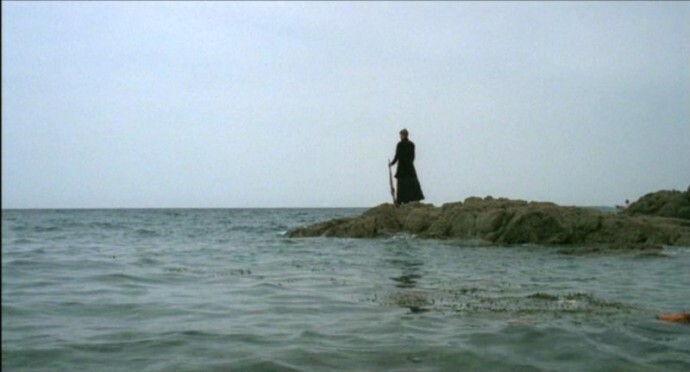 Not as celebrated as Out 1, the crown jewels of The Jacques Rivette Collection are two films he made in quick succession in the mid-1970s: Duelle and Noirot. These compact and mesmerizing movies find Rivette, along with scriptwriter Eduardo di Gregorio, tapping into the realms of pure fantasy. Critic Jonathan Rosenbaum calls Duelle and Noirot orphan films because “they’re unlike anything else in the history of cinema.” He’s absolutely right – which probably accounts for the perplexed reviews the films collected upon release and their relatively scarcity since then. They’re ripe for rediscovery, suggesting fresh pathways for adventurous filmmakers to follow. Duelle (une quarantaine) (1976) features two otherworldly goddesses searching for a mysterious stone in present day Paris. Although the plot involves various mortals who become ensnared in occult spells, parallel worlds, sexual compulsions, and mind control, the film somehow never feels far-fetched. Duelle’s singular tone has echoes of film noir and surrealism which are further enhanced by a live pianist who occasionally appears in scene and accompanies the action. Noirot (une vengeance) (1976) is even more extreme. It’s a revenge story set on a ravishing remote island among a colony of female pirates. Much of the action takes place in an ancient stone castle, but this historical setting is undermined by the use of machine guns and motorboats, not to mention the brightly colored couture costumes. A jazz trio sometimes appears in scene and scores the action live, adding to the destabilizing atmosphere. Noirot ends in a bloody finale that feels like an abstract dance. The set also includes Merry-Go-Round, a surreal mystery caper shot in 1978 starring Joe Dallesandro and Maria Schneider. Made while Rivette was recovering from a nervous breakdown and struggling with production difficulties, the film isn’t as successful as the other features here. The dramatic tension generated by the intriguing opening sequences steadily unspools, though it’s still worthwhile viewing for fans. The so-called extras on most DVDs and Blu-rays are rarely worth your time, but the bonus features assembled for this box prove genuinely revelatory. These include two extensive filmed interviews with the reclusive Rivette, who talks at length and with surprising candor about the conception and production of Out 1, Duelle, Noirot, and Merry-Go-Round. There are also illuminating interviews and featurettes with various cast members, collaborators, and critics, providing valuable context about these important films which have been shrouded in silence for far too long. The Jacques Rivette Collection represents the deep end of the director’s work. 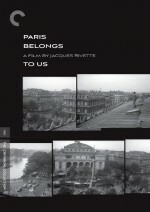 If you’re not quite ready to take that plunge, Criterion recently issued a gorgeous restored Blu-Ray edition of his first feature Paris Belongs to Us, an enigmatic black-and-white thriller that was filmed over several years and released in 1961. This story of troubled theatre troupes, lurking secret societies, and shadowy murders showcases many of the director’s key themes and partly feels like a dry run for the epic Out 1. With a relatively modest 2 hour and 20 minute runtime, it serves as an excellent introduction into Rivette’s world of abiding mystery, a filmic universe which patiently works to erode all certainties.